There's probably no woman in America who is as famous--or controversial--as Martha Stewart. 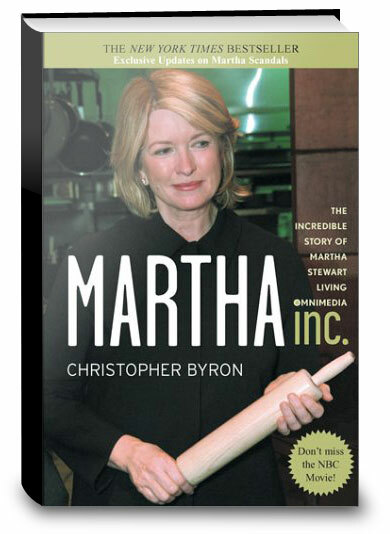 In Martha Inc. Christopher Byron gets past the public persona to tell how "the quiet little girl from the house on Elm Place" became the "richest self-made businesswoman in America." While Byron acknowledges that Stewart has a good side, there's not much evidence of it here; much of the book focuses on the darker aspects of Stewart's private life that were first popularized in Jerry Oppenheimer's mean-spirited Just Desserts. Unlike Oppenheimer's account, however, Byron keeps the mudslinging in check by also chronicling her amazing business success as "one of the most potent and effective brands in the history of American marketing." He details her relationships with Kmart, Group W, and Time-Warner, noting that her maneuvering to buy her company back from Time-Warner was "easily the greatest financial coup in the history of American publishing." Click the button below to add the Martha Inc: The Incredible Story of Martha Stewart Living Omnimedia to your wish list.